Add a touch of modern farmhouse style to your home with this 6 piece dining set with bench from RC Willey. 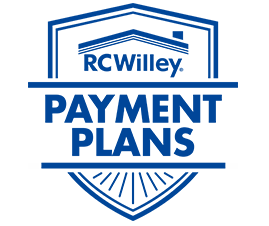 The trestle table is a sturdy and timeless design while the bench adds seating for three. It's a great casual look for an eat-in kitchen and a will be the place to enjoy gathering your family for dinner. Includes table, four side chairs and bench. Give your dining room an updated and fresh farmhouse feel with this gorgeous black and brown dining room table from RC Willey. 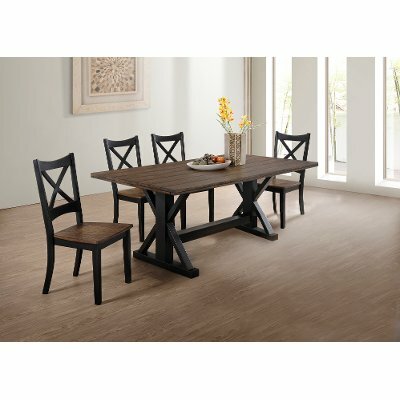 This sturdy dining table features a classic trestle base design and a two-tone black and rustic oak finish. It's timeless, built to last, and is sure to provide an ideal setting to gather with family and friends. 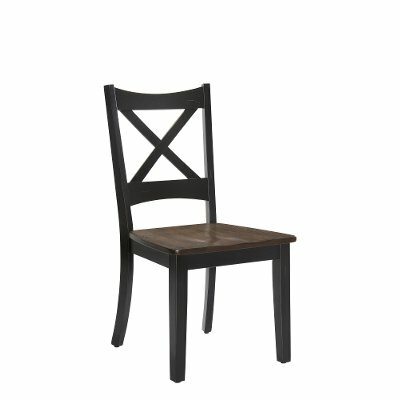 Add an extra place at the table with this farmhouse dining room chair from RC Willey. The x-back design and two-tone finish come together to create classic simplicity. 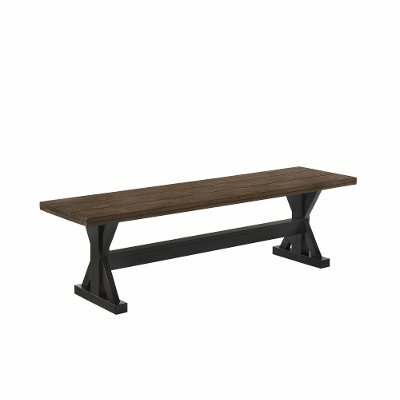 Not only is this dining bench from RC Willey are a great way to add a little more seating at your table, but it is fantastic to use anywhere in your home! Under a window, in the mudroom or in a playroom, this darling farmhouse bench would be the perfect place to sit and take off shoes, read a book or line up stuffed animals to play school.